We love New Zealand and we love it even more from 5,000ft. 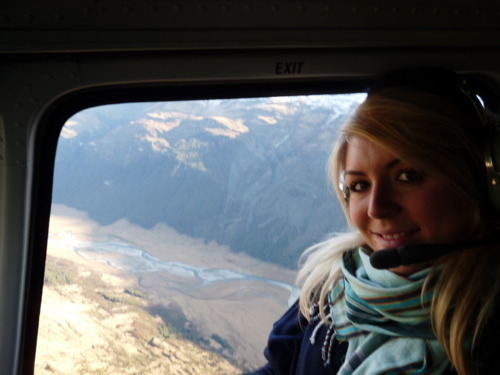 Olivia, our New Zealand specialist, just returned having tried out some new heli-adventures including mountain landing. 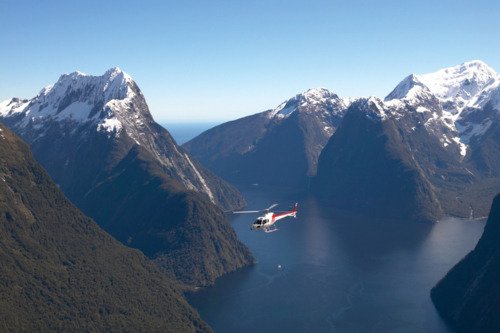 Here’s her top ten things to do in a helicopter in New Zealand! Get up close with some of the most spectacular mountains and glaciers in the Southern Alps before landing at Milford Sound. 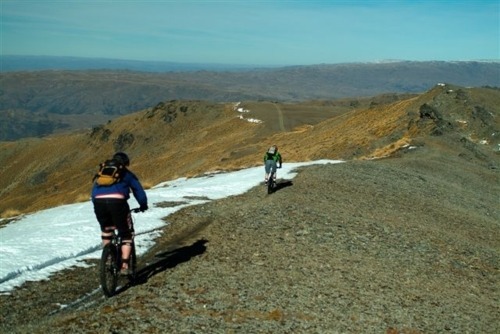 Before returning to Queenstown, take in the beautiful glacial formations as you land upon Ngapunatoru Plateau of Mt Tutoko. 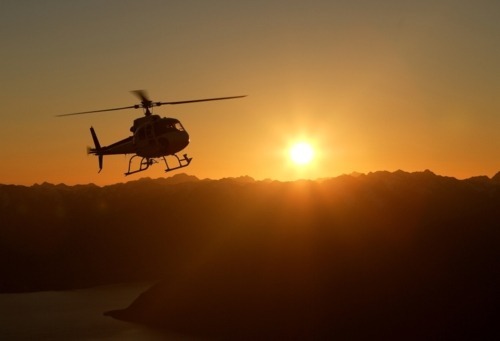 Start your day of wine tasting with a scenic flight transporting you to an alpine landing high above Queenstown. 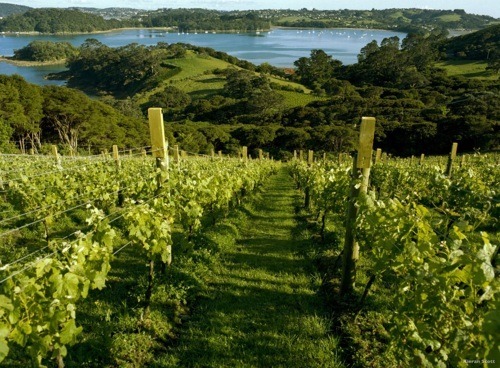 From there, you will fly with your knowledgeable guide on your private, chauffeured journey, visiting three fantastic Gibbston Valley vineyards. Words cannot express the experience that is landing on the active crater floor of White Island. This unique lunar landscape is an integral part of the Pacific ring of fire. 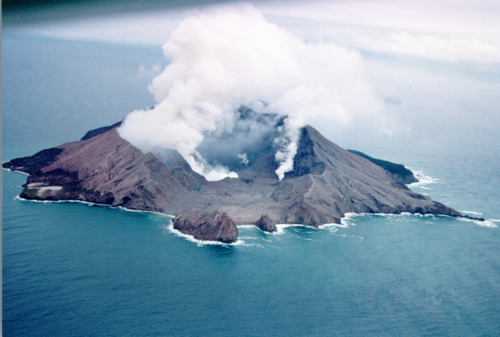 White Island’s active volcanic vents, steaming Crater Lake, bubbling hot streams and desolate mining ruins combined create a surreal experience. After a spectacular flight over the famous Remarkable Mountains you land on the summit of a mountain. Then it’s on your bike. Rolling ridge lines and single track trails bring you down an awesome descent. New Zealand is renowned as a world class trout fishing destination and a helicopter flight to some otherwise inaccessible rivers and streams is a must for the avid angler, regularly landing trophy fish in excess of 10lb. The locations and crystal clear waters make this an unforgettable day out, even if you don’t land the big one. A heli-hike is the perfect way to view the natural masterpiece of Franz Josef Glacier, landing high on the glacier and following your guide to walk amidst the beautiful blue ice caves, pristine peaks and jagged seracs. 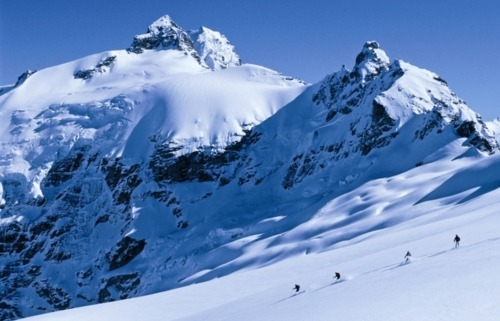 In the back country its just you and the elements, surrounded by endless peaks you fly to altitudes of 2300m and ski untouched powder with your expert guide. The scenery is breath taking and it’s an exhilarating way to view the amazing mountain environment. See wild New Zealand and take a helicopter to the south-west coast where you can try your hand at heli-surfing or even scuba diving to catch your lunch for the day. If radical is not your thing and you love beautiful scenery, you’ll have the opportunity to see a vast range of unspoiled wilderness and wildlife. The northern tip of the North Island, Cape Reinga, is hugely sacred to the Maori people and a helicopter flight here to see the Pacific Ocean and Tasman Sea meet and mingle is truly magical. Land on a sugar-white silica beach on the way home for a swim. 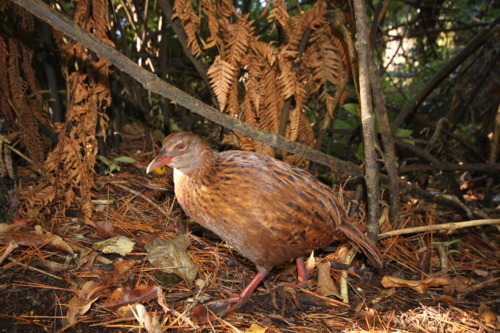 Now a National Park, Stewart Island is a destination that epitomizes natural New Zealand. 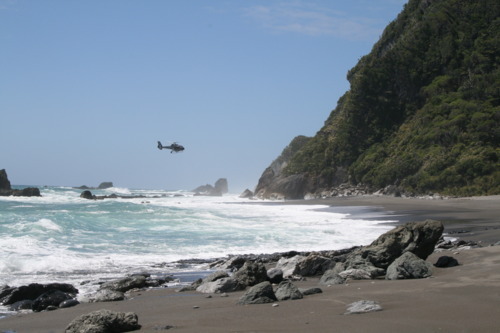 Virgin forest, deserted beaches, rugged coastline, undisturbed birds and marine mammals thrive here in abundance and a helicopter flight to New Zealand’s smallest and southernmost island is a unique experience.